Today, 2nd May, 2016, the decree ordering the dissolution of the Cortes Generales, the Spanish Parliament, was ratified by King Felipe VI, with the endorsement of the President of the Congress of Deputies. 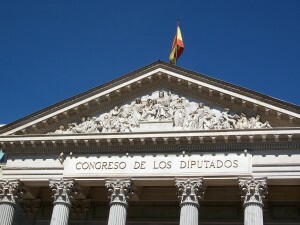 The Spanish Constitution states“if within a period of two months from the first investiture vote no candidate has obtained the confidence of Congress, the King shall dissolve both chambers and call a new election, with the endorsement of the Congress President.” Tomorrow the decree comes into force and the electoral period begins. 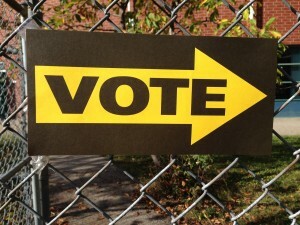 Political parties have until 23rd May to notify the Electoral Board of their candidates for the full re-run of last December’s general election. All 350 seats in the Congress of Deputies and 208 out of 266 seats in the Senate will be at stake. So the election will be for province level seats as well as local constituencies. The election will take place on Sunday 26th June, 2016. Pity those folk who thought that they’d fought and won a successful campaign last Autumn – they now have to do it all again. During the four months since the election last year there has been furious negotiation between the parties. The former PP Prime Minister, Mariano Rajoy turned down the King’s invitation to form a government ( knowing, perhaps, that he would fail to get sufficient support ). Pedro Sanchez, the leader of PSOE, the second largest party, put together a coalition, but failed to amass sufficient support in the Cortes and became the first candidate ever to fail to pass an investiture vote. But then there have been lots of firsts. This is the first occasions since the restoration of democracy in Spain that no government has been formed following an election. The PP has become the first political party ever to be judicially charged in a corruption case. 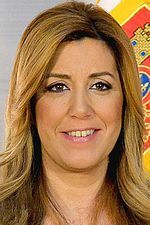 All the PP councillors for the city of Valencia have been charged and the only thing which has, thus far, saved the Mayor of Valencia, is the fact that she is now a Senator. The scandal has spread to Madrid. In April another corruption scandal, this time in Granada, was revealed to involve the Mayor and all his PP cabinet. The former Prime Minister, meanwhile, has been charged with tax evasion and the current, caretaker, Industry Minister has been forced to resign because of his involvement in a similar scheme ( revealed in the Panama Papers ). In PSOE the situation is equally turbulent. Susannah Diaz, the President of Andalucia, is pretty much in open revolt. She will be trying to force Pedro Sanchez out so as she can lead the party into the election. She has a lot of support in the party. ‘Circo‘ is the word most used by ordinary people to describe events. It means ‘circus‘, both in the sense of ‘travelling show’ and of ‘place to go around’. But there is a danger that while the ‘circus‘ element of ‘bread and circuses‘ continues, the IMF might be preparing to enforce a further restriction of the ‘bread‘. And austerity is, in part, what the whole election is about. If you enjoyed reading this post you might also enjoy A New Sort of Politics Hello, Prime Minister, we need to talk…. Who rules Spain? Erm…. Ring in the New When I was a child…..